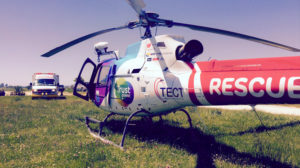 We are proud to be a supporter of the Trustpower TECT Rescue Helicopter again this year and feel very fortunate to be able to donate to such an important service within our community. 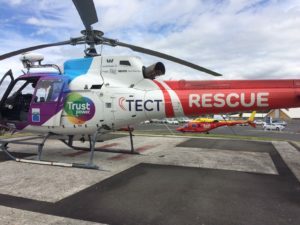 Based at Tauranga Hospital, our rescue helicopter is a dedicated, 24/7 ‘ambulance in the air,’ providing their services to accidents involving motor vehicles, aviation accidents, incidents on farms, recreational pursuit related incidents, and inter-hospital transport for critically ill or injured patients for specialist medical care. This service also works with the Police on armed offender callouts and responds to both marine, land, and air search rescue. A big thank you to all the crew members that contribute their time and diverse range of skills and experience to the operation. Having a locally-based rescue helicopter brings significant benefits to our community and is a service that literally saves lives! You can make a difference too by supporting your local rescue helicopter, allowing them to continue the important work they do.